So I picked up Storyteller out of fear. I have been working on a storyline that sounded eerily similar to this one for several years, and when I saw this book on the shelf my heart sank with the concern that only rookie writers have: "oh no, someone already wrote my book!" Of course, that is ridiculous and as I got into this book its ridiculousness was confirmed. This book is nothing like my book. The characters are different, the plot is different, this one is finished, mine only has a few chapters. This one is published, mine is destined to be a rarely downloaded e-book. So was it a good book? Umm... more or less. Was it a waste of time? Not remotely. Why? Well, only one chapter into the book I formed two opinions. First, I was convinced that this was a first-time author, and second, I was also convinced that if this book could be published, then mine had a shot as well. It wasn't a horrible story, but it lacked the polished touch of most published books. There were two timelines to deal with and very short choppy chapters that kept you from really digging into the plot. It was 2/3 of the way through the book when I finally felt involved in the story and cared about the characters and what was happening to them. If I were to compare this to one of my previous reads it would be the Book of Story Beginnings, although that one is a notch or two above Storyteller. It could also be compared to The Book of Lies. Unfortunately, I was wrong. It turns out that Meyers has written a number of books. I was surprised, but in either case I thank him for the motivation I got from the experience. It is good to have that "I could make it" attitude. This might seem like an odd book for this list, I don't know. It will probably seem less odd, however, if you consider that this was the follow-up bedtime story book to Mrs. PiggleWiggle. There are some interesting parallels between the two. Both are set in a time that my boys would associate with their grandparents; a world where mothers stayed at home and the fathers worked, and every kid in town has a mother and a father to speak of. Neither contain any racy action scenes and both end up with good down-to-earth moral lessons about how children should behave and interact with the world. Weird. There were some differences as well. 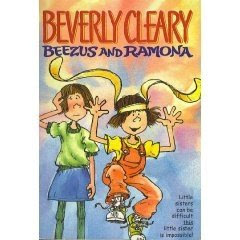 Beezus, the older sister of the exasperating Ramona (it felt like the word exasperating was used at least once per page, but it describes her so well) struggles throughout the book with the guilt of realizing that she doesn't always like her sister. While the specific conflicts between the two were pretty abstract to my boys due to the decade it was written in, the message came across loud and clear: it is OK to be angry with a sibling, because there is a deeper relationship there in the end. In the last chapter Beezus even comes right out and says that sisters don't have to love each other ALL the time, and my oldest son, who is the same age as Beezus the character and with two younger brother really related to her problems, interrupted my narration to add that it should say sisters and brothers. Yes, the message sank in very well. I give this a higher rating than Mrs. PiggleWiggle because the characters are a little more full, and the book didn't slip into a formulaic pattern so much. The boys enjoyed it more, but I think I am going to try them out on something a little more modern and with a quicker tempo and see how that goes. Not that we won't return to classics like this, but it is time for something a little different I think. It is late, so this will be short. This is a fantastic book in every way, with only one criticism. Mull doesn't know how to write a stand-alone book. By all accounts he isn't planning more Candy Shop books. Now I don't think that will happen because I think his fans/editor/neighbors/mother will persuade him otherwise, but he thinks he has written a stand alone book. I don't profess to be an expert on much. Sure I spread my opinion around because I can, but I know that I'm not a literary genius on any level. However, if there is one thing I know about it is juvenile fantasy fiction series. And this was the first book of one of them. The characters are deep; you really get involved in them. The ending only leads to more questions and there is no closure to the larger story. Nate and his friends aren't going to just go away and live "happily ever after" after having a war with magic candy. No way. If it walks like a duck, swims like a duck and quacks like a duck, then it's gotta be a duck. Hey Brandon, I look forward to the next book in the series! So a few posts ago I blogged my first audio book, counting it among my books read. This is one more step in that direction as this too was an audio program. However, I saw no reference that it was a book as well, so my counting it as a book is somewhat tenuous, however I am supported by Amazon, which has it listed in the "book" category. In any case, it was a worthwhile listen so it definitely counts. For those of you who haven't heard the Prairie Home Companion radio show, I suggest you look it up on your local public radio station, make yourself a tall glass of lemonade, or hot chocolate depending on the season, and then go sit on the porch (or by the fire) and enjoy a slow-paced treat. Why is it a treat? It is entertaining, consistent and free. What more do you want? Mr. Keillor invites musical guests, holds small town contests and performs in old school radio dramas/comedies. It hearkens back to an older era in a timeless way. System requirements: As you know all technical products have system requirements, so I want to let you know what you need to enjoy this show. 1. First and foremost, you need patience. Similar to some of the older vintage books I have written about, this show doesn't move at a 2008 pace, but rather something closer to a 1908 pace. Is it entertaining? Yes. Does it blow your socks off? No. Take your own dang socks off. 2. You need a working brain. Often I find that this show leaves me thinking. Not every time, and it isn't always serious, but to me it is a key part of the show to be able to pause and let something sink a little deeper now and then. But not all of the time. Sometimes just laugh, listen or smirk and then move on with life. So what did I listen to to justify this post? At the end of every show, Garrison ends with the "News from Lake Wobegon" spot. It is basically a story/monologue told with a story teller's grace about the Wisconsin town of Lake Wobegon, which is the fictional home town of Keillor. His detail and speaking skills are outstanding, and after a few times you actually think of his characters as his actual neighbors. His stories leave you laughing and maybe, if you are extra tenderhearted, crying. Alas, I'm not one of those, but I do feel the sentimental side of the show. This CD set was a collection of some of those "News" segments from over the years. It was a great listen and they selected a good cross-section of his work. Some funny, some contemplative, all entertaining. I give it one of the highest ratings I've ever given. My turn finally came to borrow this one from the library, it being a new release and all. At this point I have decided that this series is worthy of adding to my personal collection, but I am going to make an effort to get a deal on them instaed of buying them all full price one by one. In this, the next to last book, Nix does a great job of keeping the story concise for his younger readers while still maintaining the complexity for his more advanced readers. He really walks the line on that one and he does a great job. I will warn you that he leaves you hanging like nobodys business in this one, but that is what I get for reading a series that is in production. At least I didn't start it until we are one book away from completion. My searches on the internet only lists 2009 as the release date for the final book, which would presumably be named "Lord Sunday" if the convention so far is continued. Anyway, I give this series a high rating overall, even though Nix has to walk the line between what his audience can understand and what his imagination can dream up (as I mentioned). I did find that wikipedia has a great synopsis of this book (and the series). Read at your own risk; there could be spoilers. So I must be feeling adventurous these days because this represents another first for this blog. This is my first juvenile non-fiction book this year. Of course, the topic is Disney; Disneyworld to be more specific. Of course, that was a draw for me, but I also was curious to see how the juvenile non-fiction book was put together. Here is what I found. 1. It seemed to be one long graphic arts project. Text was not arranged on the page with supplementing graphics and pictures, rather the text was all inlaid in different colored shapes and each shape was a colored element in its own right. Over all I think it worked for the audience intended. The graphical grouping helped keep topics together, even for the youngest reader. 2. The topics are short and succinct, only providing the information that the target audience would be interested in. The strange thing is that as I paged through the book and saw the layout, I expected it to be a quick read: an hour or two. I spent at least that with it. I was surprised by the amount of content that was in the book. A note on my posting format . . . I am doing away with the synopsis link. When I started this blog, I first felt compelled to give my imaginary reader a brief summary of the book, and then give my opinion. This seemed like a bad idea for two reasons: 1. )it is tremendously redundant as there are a countless other Internet sites that provide that and 2.) it is a very time consuming task. I wouldn't mind spending the time, of course, if I thought it was adding value, but I don't think it does. In any case, by second or third post I decided that I could just link to Amazon's page for the book which often included a short synopsis of the plot. That way those who wanted to know more about it could go there and get the info they were looking for. I also included one of Amazon's product banners, which is useful because it tells you how much the book would cost on Amazon used (the best way to buy books). It also added some color to my site as well without me having to scour the web for pictures of books. Well, Amazon's link creator was broken when I was writing my last post, and it got me to thinking about this strategy. I have decided to do away with the synopsis link, because clicking on the graphic take you to the same page. I also think I am going to experiment with different graphic links. The current links look too commercial with the prices on them, and if someone was really interested in buying the book and wanted to know the price, they could tell by clicking on the picture. So I will be experimenting for a few posts. Just an FYI. Thanks for coming and reading. Hopefully you share my love (or distaste) for some of these books, or you have found my opinions interesting or helpful. This is my first step into the realm of audiobooks on this list. In the end I decided to include it because, after all, a book is a book. Also, I will be able to cover more ground, so to speak, by using my time driving to "read". I have already acquired my next two audiobooks after this one, so I think it is a trend that will be around a while. For those of you who don't know Stephen Colbert, he has a mock-news show on the Comedy Channel that I find pretty humorous. As with most shows on the Comedy Channel, it is not considered a show appropriate for kids, so my expectations were similarly set for this book. Wow. Did he ever exceed my expectations on that one. Not only are parts of this book not suitable for a younger audience, VERY FEW parts of this book ARE suitable for a younger audience. Did you catch the subtle emphasis there. If you are under the age of 16, do not pick this one up, whether it is an audiobook or not. I would make that warning on the basis of sexual references, foul language, and just as dangerous: sarcasm that you might not pick up which would shape your views of what is being said. The redeeming value in this book is Colbert's staunch conservative approach. I didn't know it before picking the book up, but he is a devout Catholic. Like, Sunday school teacher devout. He openly bashes every other religion, opinion or group that does not believe in Catholic principles. Why do I find that redeeming? Because even though I am not, have not and will not ever be a Catholic, some of the values that mainstream Catholicism espouses fit with my traditional conservative set of values. While I don't always agree with his method of discussing his beliefs, which is basically to insult every other way of thinking, it is that strong approach mixed with a heavy dose of sarcasm that got him his own show on the Comedy Channel. His really, really offensive remarks are couched in subtle mannerisms that leave you laughing and at the same time wondering if he really believes what he just said or if it was just a joke. After a few chapters you realize that he really does believe those things, but he protects himself from attack through comic absurdity. You or I could never express similar views, even though our statements would probably be much more moderate and tolerant, but he can get away with it and we can't. So would I recommend this book? Yes, with the right caveats and only to the right people. If you can't stomach strong language, or won't follow instructions when I tell you which parts to skip (the two parts with the drunk guy at the ball game are the worst, I think), then you won't get a recommendation from me. For the rest of you, if you want to hear a mainstream media man preach conservative values in a contentious way, then this is the book for you. So I can't say much about this book. I can't say I would recommend this to young readers; it is an adult book. I can't say it was the best work I have read from Feist. I can't say it is the worst. I can't say it was predictable, but I can't say that it felt all that different from his other books. In a lot of ways this book met expectations, and after the last book in this series (which was dismal) it was a welcome change. However, I'm generally luke-warm about it. I am probably being a little generous with my rating because I have grown to like his characters, and lot of the mainstays from other books were killed off in this one. Chalk it up to fictional respect for the dead. Pros: So I picked this up on a recent library excursion partly out of nostalgia and partly for my kids. I remember loving the book because the lady in it seemed so silly, and that was about all I remembered of it. Lately, I have been wanting to read to my kids more often, and so this was the perfect target. All in all, this book satisfied both requirements. Mrs. Piggle-Wiggle is still too silly, and my kids really enjoyed the reading time. Even though it is a classic, it still did a great job of holding their attention (ages 5,6,9). Cons: I didn't realize how old-fashioned this book was. Similar to other older books I have read (Gom on Windy Mountain, Wizard of Oz, etc.) this book was written at a time when the pace of every day life was a few notches slower, which can make it hard to relate to the characters. The language is outdated as well, although that isn't as much of a con since I think it is good for the boys to recognize that generations of kids before them grew up and flourished without playing computer games and watching movies every waking minute. So first let me say that this is not a kids book by any means. I don't think I have many (or any) readers, but if you have stumbled onto this blog and are under the age of 16, you can just stop reading now because Raymond Feist is an Adult author. Thanks. OK, so now that the young'uns have left, let me say that this was the most disappointing book for me. In the past I have wondered if we were going to be stuck in repetitive plots over and over again, and I think that Feist's readers or editors must have voiced similar concerns, because in this book he drastically changes his strategy. Instead of the same action-packed fantasy/adventure story, we now get a poor attempt at a medieval Wall Street drama with a mistress around every corner. While I applaud the attempt at something different, this was not a success. More than half a dozen books by this author in this world, and I find myself having trouble staying interested. That is crazy. What I think is even worse is that he has a REAL story going on in the background as a sub-plot, and that should have been the real story. Yes, that was a carbon copy of the 3 or 4 previous books, but repetitive or not, at least I enjoyed those books. I can't tell if he was trying to add the story line for interest, or if it was supposed to be competing for the main plot line. If it was the latter, it lost, unfortunately. Oh, and while I am ranting, the moral depravity increased another notch in this book. Not so much that I won't read the next one, but enough that I find it sad. Thus the warning for young readers. Cons: I have a simple criticism of this series. Nix has done a great job with the characters and the plot in general. The setting works as well. What gets me is that there is a lot of buildup to a single scene in every book where Arthur, the hero, confronts the antagonist of the book. We are expecting some sort of fireworks by that point, or at least a really good fight scene, which we were treated with in book one. In every book since the bad guys have been giving up easier and easier in each one. Lady Friday was the worst offender yet. The conflict builds and Lady Friday is about to commit unthinkable evil. Arthur and his crew show up in the nick of time, but instead of a massive struggle it is over in less than half a page. He shows up, says a few things, and Lady Friday actually says something to the affect of "Yeah, I know I am beat." What kind of resolution is that? Every other character was scared of Friday, but our hero shows up and there aren't any fireworks. It is a bit of a let-down. Pros: While the resolution is a bit weak, the rest of the plot is not. The world that is the setting is proving to continue to grow while not contradicting itself, framing the story nicely. There are now three factions vying for power, including the good guy, and in each installation we learn more about the threats each contender poses to the protagonist. The threats grow, the stakes grow, and we progress towards the final conflict with each book. In short, the author is doing his job beautifully overall. I look forward to Superior Saturday, which I had to reserve at the local library due to the well deserved waiting list. Feist has started another winning series in my mind. I actually don't have much to say about it. It is another intriguing Fantasy series, born out of the setting and characters of the previous Riftwar series. My only concern is that while the plot is different, the strategy is not. Here is his formula: War happens, there is a little-known magical undertone to the battle which means that if the bad guys win it will be the end of the world, not just the war. There is the classic "quest" and at the end the questors are reduced to a few barely living heroes who get saved by a master magician who until that point in time couldn't get involved for one reason or another. This was the formula for the Riftwar series, as well as some of its individual books, and also the basis for the two intermediate books, The King's Buccaneer and Prince of the Blood. Again, he leverages his formula very well, but I hope to be a little more surprised in the next book. Obviously, Feist is talented enough that I will be reading the next book. Synopsis on Amazon: Should I Do What I Love? : Or Do What I Do - So I Can Do What I Love on the Side? This book addresses the age old question of "what should I do with my life." OK, it's not an age-old question really. Not too many generations ago people were just hoping to have something to do to earn a living, and were not so preoccupied with their personal happiness. In fact, a conversation with my brother-in-law several years ago revealed that he had the same opinion. "I don't really enjoy what I do, but it doesn't matter. My job provides a living for my family." Yet, I can't help but ask the question still, and I am not alone in my generation. Money is out there, and for those who don't have money there is credit (for a while anyway). We are more concerned with creating a path for life-long personal happiness, and part of that happiness involves our profession in life. Now the question is whether that profession should just earn the money with which to seek happiness, or that profession should provide happiness, contentment, etc. I am surprised that I actually finished this book. For one, I was not in the target audience of 20-something feminine individuals who wanted to pursue careers in the arts, but were concerned about the lack of earning potential/opportunity in their field of interest. Katy McColl was in this demographic, and wrote with an artistic lack of professionalism that I generally don't enjoy. And yet the question was posed well, and from my position of personal interest I couldn't put it down. I generally don't like to give a synopsis, and I never give away the ending, except for this time. In the end the message I got was that if your situation permits it (you can live relatively cheaply) chase your true dream. Do what will make you happy. If you can't live on peanut butter for a while, then it is OK to do what you do just for the money, as long as you put your energy after-hours into what you love so you don't lose your dream and burn out. 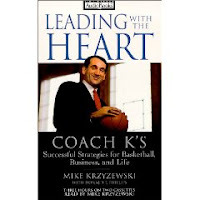 I feel OK about putting this out there because I am guessing that this book is one of those where 10 people could read it and give 10 different opinions about the intended theme. While the last book felt a little slow, this one seemed just a tad quicker paced. I wonder if this series was an early work for Chetwin, as you can see her improving from book to book. 1. Everyone is either obviously good or bad. You know within the first paragraph of meeting someone what side of the line that character is on, and you can rely on the fact that there will be no changing sides. It makes the story feel a little flat. 2. The book especially has a number of scenes where you just can't believe the main character is stupid enough to do some of the things he does. It just lacks that human quality of common sense, even as rare as it is. Again, this flattens the story. So life has been busy, but I did pick up the Gom of Windy Mountain series again. Actually, I had to request it from the library, since it seems to be a fairly rare and yet popular series. In some ways I can see why, as you get to know the characters through page after page of hearing their inner thoughts and seeing the world from their point of view. For the same reasons I can see why this book hasn't quite made the list for a reprint. Chetwin's story, although captivating in its detail, can be a bit slow at times, especially when compared with the newer competition in the juvenile section. One thing I find interesting as I go through this series is that at the end of the book it might seem like relatively little actually happened. It reminded me of The Spiderwick Chronicles in that way, only these books are longer, yet the stories are comparable in how the progress per book. Just a random thought. So where I was disappointed with the first book in this series, I am feeling a lot better after this one. The connection between these books is more solid than many others series as it reads more like one continuous story. The conflict I felt at the end of the last book with relationships--oh and the fact the main character had disappeared-- were resolved as all of the loose ends are picked up fairly early in this book. The adult fiction aspect shows up in the intense mental and political story lines, although I shouldn't overlook the fact that the more *ahem* adult aspects of relationships are a part of this story as well, but not so much that a middle-schooler would be confused. This series has turned into a good read, although not the best I've read. Respectable though. Very respectable. And yes, I am going to continue reading the series.